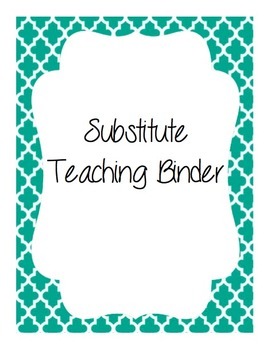 Substitute Teaching Binder - A resource FOR substitutes! This product was made BY a substitute FOR a substitute. 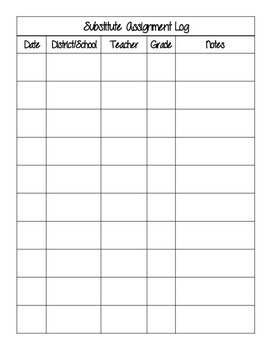 This is intended for purchase by substitute teachers looking for a way to stay organized. This is a product I made to use while substitute teaching. I searched TPT and the internet for resources for subs. All I could find were resources for the classroom teacher to leave for a sub! 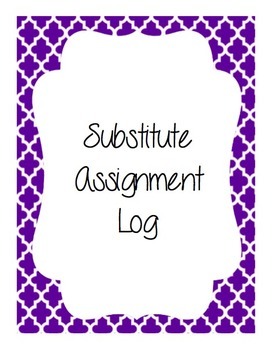 I decided to make a binder to bring on substitute teaching assignments so I could be prepared for anything! This product contains binder divider pages as well as various printable note pages. You can print these pages on heavy paper and attach tabs, or you can adhere the pages to dividers that you have already purchased. In my binder, behind each grade level divider, I keep emergency lesson plan ideas and worksheets for each grade level. Lesson plans are not included, however there are plenty of emergency lesson plans available by other great teachers on TPT! 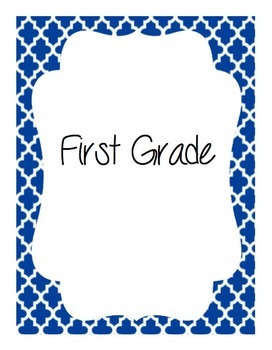 You should always be prepared in case the teacher has an emergency and does not leave plans!